Which Food Must Go? Gretch Runs: Which Food Must Go? Hi Everyone! Happy Tuesday. Today I have a fun blog post idea that came from strengthandsunshine. It's a survey where you have to choose which of the foods in each group you would be willing to give up. Some of these were really simple for me to choose, and some were nearly impossible. Pick a few of the categories and tell me what you would pick in the comments, or make it into a blog post! 1. Pancakes, Waffles, or French Toast? Something about french toast always freaked me out! I just picture soggy bread, and I can't stand the idea of anything soggy! (even that word is disgusting!) Every Pittsburgher knows that the best pancakes are from Pamela's, where they're nice and thin and smothered in toppings! 2. Pie, Cake, or Brownies? I've never been much of a cake person, and usually got an ice cream cake or pie for my birthday. 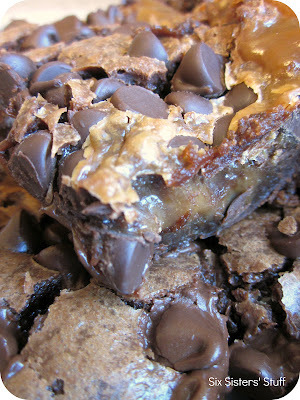 I do love cake batter ice cream from Ben and Jerry's though, but would much rather have a warm, gooey brownie any day. This is my favorite recipe if you want to dry a delicious one! 3. 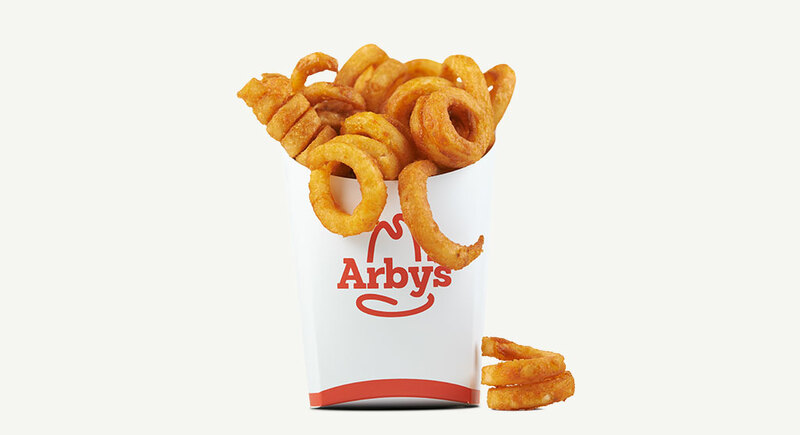 Curly Fries, Crinkle-Cut Fries, or Steak Fries? First off, waffle fries (from Chick Fil-A) are the absolute best, followed closely with Arby's curly fries. I don't like the taste of Crinkle-cut and they remind me of lunches in elementary school. I'll pass on those! 4. Pizza, Pizza Rolls, or Bagel Bites? I could pass on all three of these to be honest! I'm not even entirely sure if I've ever had a bagel bite, but they don't sound very good. I had a lot of pizza rolls in college and when I was younger, so I would pass on those as well. 5. Chocolate Chip Cookies, Sugar Cookies, or Peanut Butter Cookies? I'm not a fan of sugar cookies at all! I do like the really soft ones though, but I typically think of the really crunchy, hard cookies that people bring to events. I always pass on them with no problem! 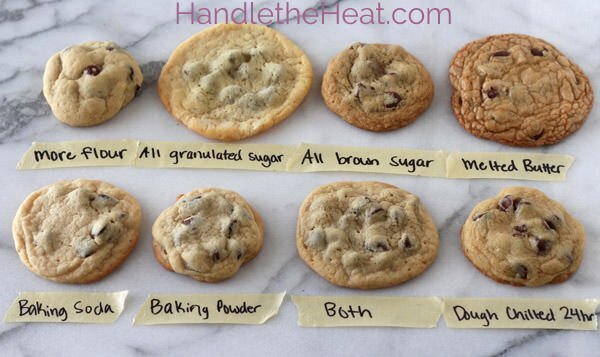 Chocolate chip would have to be my favorite (check out this guide if you want to make them perfect), and peanut butter isn't bad. I haven't had them in a while, even though they're the simplest cookie to make! Maybe I'll have to have them this week! 6. Bacon, Sausage, or Ham? Mmmm I love sausage and bacon. Every weekend, Dan makes me breakfast with one or the other, so I don't think I could give them up! I love them both cooked and crumbled, and mixed with potatoes, eggs and cheese. Yum! 7. Mozzarella Sticks, Onion Rings, or Potato Skins? Yeah, right? God, it's been forever since I had potato skins. I remember them as being pretty much the most delicious things ever. It's good but not nearly as good as I'd built it up to be in my head. Even though this potato skin performed admirably, and is a totally respectable size I couldn't enjoy it because of my own unrealistic expectations. 8. Lobster, Shrimp, or Crab? This one was really difficult for me to choose! I love seafood and would eat any of these in a heartbeat (in fact, I'm making this tonight for dinner) I had to really think about this one, and finally decided that crab had to go. Can't I just switch out crab for the pizza rolls?? 9. Barbecue Ribs, Hot Wings, or Mini Burger Sliders? I love wings so much, but I don't like them hot, so I had to eliminate that on a technicality. If the choice was a barbecue (or any other flavor) wing, that would be my number one choice! I actually had barbecue ribs this weekend and they were amazing, so I couldn't eliminate those, and sliders are pretty much the cutest and most delicious food ever! 10. Burritos, Quesadillas, or Tacos? I could not EVER give up Chipotle burritos (I actually get the burrito bowl, but it counts!). Tacos are also incredible, and we used to have taco night growing up. It was always my favorite meal! Quesadillas are definitely the most plain and boring out of the three, so it has to go. 11. Buttermilk Biscuits, Cornbread, or Bread Rolls? I can't stand cornbread! Every one that I've tried has been really dry. I don't want a thick piece of bread that's going to dry out my mouth like the Sahara, especially when I'm pairing it with something like chili that's also thick! Biscuits and bread rolls, on the other hand, are amazing. 12. Beef, Chicken, or Pork? Besides bacon and sausage, I'm not really a fan of pork. It tastes bland and dry to me! I love cooking with chicken, though. It's so versatile and healthy! I love finding slow cooker recipes, and there are so many out there. I still have some leftover Garam Masala from Indian night a few weeks ago, so I might try out this recipe for slowcooker tikka masala! 13. Coffee, Tea, or Energy Drinks? I drink one coffee and one tea every day at work. I don't even remember the last time I had an energy drink, so this one was super easy. I like to add some coconut oil in my coffee in the morning for an extra boost, and my favorite teas are from Trader Joe's. I love them all! 14. Skittles, Reese’s Pieces, or M+Ms? 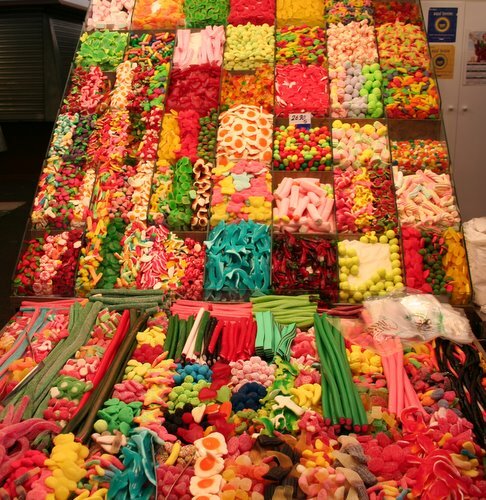 I don't really like any of these..I'm more of a gummy candy person (the picture above = heaven). I've never liked M+M's, except for the peanut butter kind and Christmas colored ones! For some reason they taste different to me. I haven't had Reese's Pieces in a long time, but I love peanut butter so I had to keep those! 15. Bagels, English Muffins, or Croissants? I like to have some kind of bread/carb in the morning at work, and it's easiest to bring something like a bagel or english muffin. I prefer english muffins over bagels just because they don't have a hole! It's such a small deal, but I hate spreading peanut butter or cream cheese and having to go around the bagel hole, so I prefer a flat bread. Croissants are one of my favorite breads as well, and I love making them with dinner for a special treat once in a while! 16. Mac ‘n’ Cheese, Lasagna, or Spaghetti with Meatballs? 17. Ice Cream, Milkshake, or Frozen Yogurt? I've never been a big fan of milkshakes. If I go to an icecream place, I'll almost always order a bowl of ice cream. I can't remember a time that I actually ordered a milkshake! FroYo is also amazing, and I used to go to a place at Penn State all the time. It was the cool place to go during the week and my best friend worked there, so I stopped by quite a bit! There were some tough choices, and now I'm starving! What are some of your favorite and least favorite foods? I'd love to hear your thoughts in the comments! Seriously! Thank goodness it's just a survey and not real life :) That would be a miserable life! You're so funny! I would definitely gorge myself as well. Hopefully that won't be for a while though!! I feel like I'm the only person who doesn't like cornbread! Maybe I've just had crappy pieces my whole life. I think I've been missing out! I could easily eliminate things from each category. I don't like some and then others I don't have often. Some were really easy to choose :) hope you enjoyed it! I lived on Pamela's pancakes in college. My mouth is seriously watering just thinking about them! But I always loved their French toast too! Also, totally agree with your fry choices. You just can't beat Chick-fil-a fries with Polynesian sauce ! I haven't had them in so long...ahhh I'm craving them now!! Why isn't there a chick fil a downtown!! Thank you so much Jenny!! That means a lot to me :) so glad you like it!! I'm in love too!